With the summer holidays in full swing, now is the time to glance over your checklist for the season and ensure everything is in order. Day trips taken, afternoons spent lounging on the beach along with countless barbecues, picnics and garden gatherings in the balmy weather. 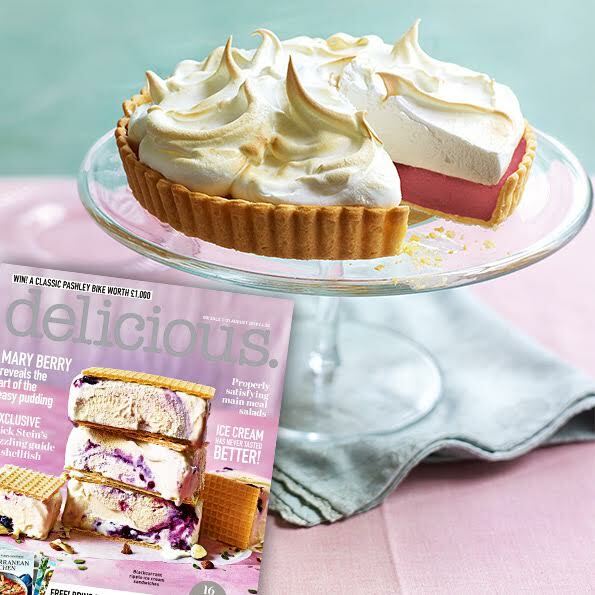 Though every devoted host or hostess knows that no summer soiree is complete without a delectable dessert which sings of the season, which is why this raspberry curd meringue pie courtesy of delicious. magazine is a must-bake. Light and delicate meringue dances atop this glorious pie, hiding a tart ruby centre made using the finest British raspberries (perhaps ones picked from your own garden!) that sits upon a delightful crumbly crust. Surprisingly simple to master, this twist on a classic will have your guests licking their lips as they crown you the official king or queen of summer. Subscribe to delicious. today and save up to 63% off of the cover price.